Your engagement photos will be how you will remember this short-lived time within your life! You are no longer dating, but not yet married. However, your new relationship status will be over before you know it. But, with a wonderful engagement photo session, you can ensure that you capture images that you will cherish for the many years to come. There is no better way to celebrate your engagement then by popping open a bottle of bubbly with your partner. 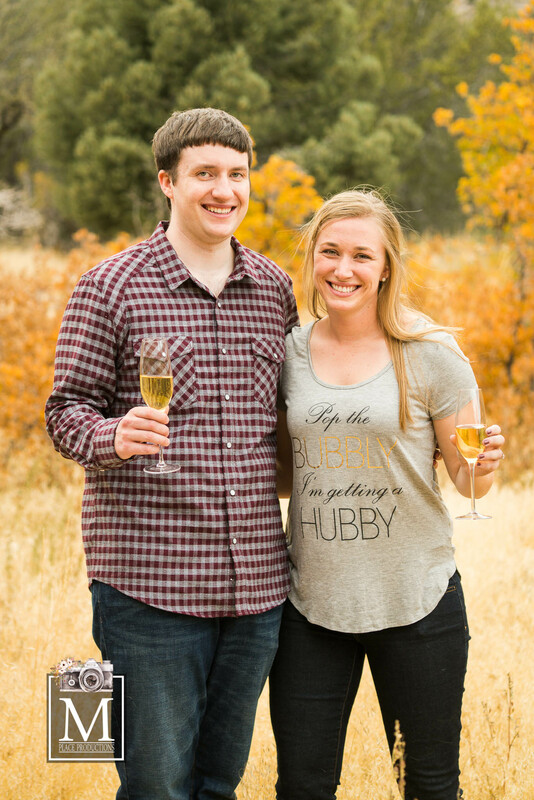 So, grab your flutes, your favorite champagne, and your partner, and capture some celebratory engagement photos! By utilizing signs throughout your engagement photo session, you can add a dash of personalization and festiveness to your images! You can showcase a celebratory message among your sign, your wedding date, or even your new last name, as a way to highlight your excitement for your upcoming nuptials. You can let your engagement photos be flooded with color by utilizing smoke bombs! These colorful fireworks are sure to present a celebratory appeal throughout your images. Whether you choose to highlight one color, or the entire rainbow, know that your photos will certainly be celebratory if smoke bombs are used! With engagement photos, you can truly embrace your new relationship status! These are just a few celebratory props that you can choose to showcase throughout yours. Are you ready to have your own engagement captured by an engagement photographer in Las Vegas, Nevada? If so, please get in touch with us here at M Place Productions! We believe that every milestone in life should be captured, and would be honored with the opportunity to ensure that yours are.